Pia Sukanya’s Bombairiya is a well-written thriller/mystery/action film that has elements of intrigue, unthinkable coincidences, and a wild goose chase-type scenario that embroils every character in the plot. The funny thing is, not everyone mixed up in this unlikely situation is aware that they are involved in a bid to find an elusive witness whose confession may have the power to put some very influential people away for good. The comedy, admittedly, isn’t in the same bracket as the ‘whodunnit’ and ‘what exactly is going on here’ parts of the plot. The intelligent arcs of both major and minor characters and a story that keeps the audience guessing and speculating every step of the way, are all thanks to a stellar script, courtesy Michael Ward, Pia Sukanya, and Aarti Bagdi. Bombairiya begins with the speculation of the whereabouts of a famous police encounter specialist called D’Mello. Meghna, a PR agent who works for an unprofessional, middle-aged Bollywood star, gets into an argument with a motorist who has collided with the autorickshaw she is in. Before you know it, fists start to fly, and the man on the scooter snatches her phone while she is the midst of recording the incident, and zooms away. A good Samaritan joins the melee but fails miserably. 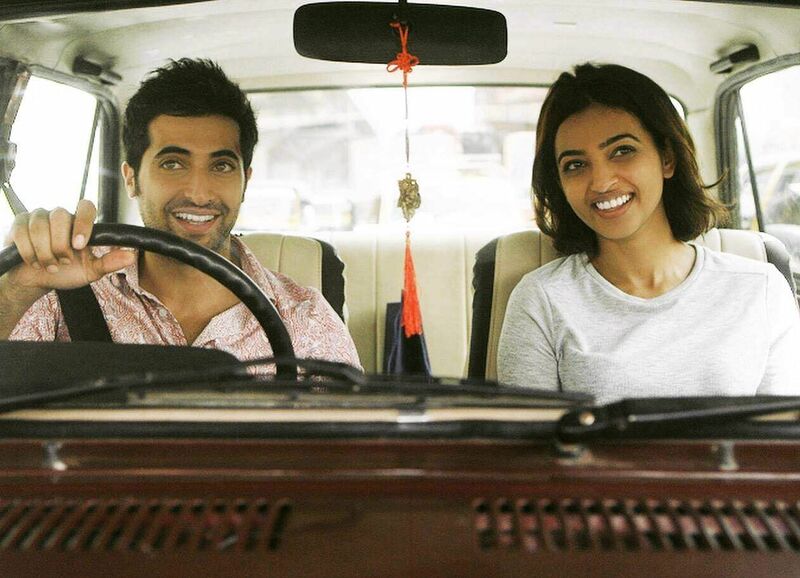 Much to Meghna’s chagrin, the man introduces himself as Abhishek (Akshay Oberoi), offering her his phone and car to help track down the thief on the pink scooter. Across town, a cop called Gujral has killed an elderly man referred to as chacha. Gujral reports to a recently-jailed minister by the name of Pandya (Adil Hussain). And at the other end of town, spoilt actor Karan Kapoor (Ravi Kishan) is giving everyone a hard time by disappearing from set. How the paths of these varied characters converge, forms the bulk of the storyline. The unlikely connections, the unending speculation, and the skill of the narrative to keep you in equal parts riveted and intrigued, are great, but the director could have cut down on the number of twists and turns. In a 104-minute film like Bombairiya, it can get just a little tedious to deal with an overdose of confounding wild goose chases set against the backdrop of a bustling metropolis. Apart from some overkill in that department, the film has an engaging storyline and characters that are intelligently pieced together. The writing is definitely the standout in this intriguing whodunnit thriller. The lighter moments could have been better, make no mistake, but the situations involving Meghna and Abhishek’s improbable alliance and their confused parents’ take on everything, isn’t all that bad to watch. A good film is the product of a skilful script. And though Bombairiya is far from perfect, it is an ideal example of how that statement rings true. Sukanya and her team deserve to be commended on a decent effort all round.